Readers spell their way through the pictures of the city and its features and inhabitants, and every image is made from the letters that spell its name. This is a unique typographic device. Colors are bold and bright, and the portraits, buildings and animals are great fun. A playful verse accompanies each illustration. There's also a fun-facts quiz about the city and hide-and-find fun too. Supported by Teachers Notes via the back page and online. 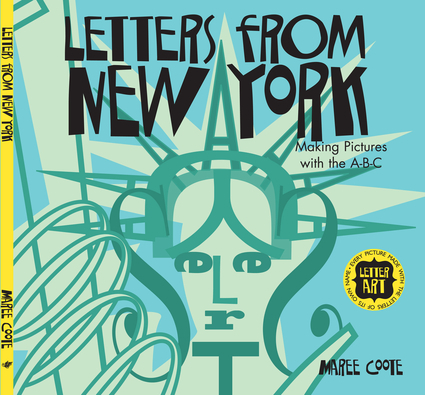 Maree Coote is a writer, designer, illustrator, typographer and photographer. She is the author of two gold award-winning histories, The Melbourne Book and The Art of Being Melbourne, and is author/illustrator of 11 children's picture books, including Spellbound, Alphabet City Zoo, and The Black Pot Belly. Spellbound won the prestigious Bologna Ragazzi Special Mention Prize in Italy 2017, the Nami Island Illustration 'Distinction' award in South Korea 2017, and is shortlisted for the CBCA 2017 prize in Australia.